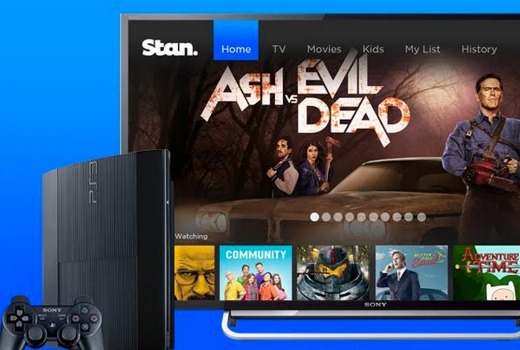 SVOD service Stan is set to launch on PlayStation3 and PlayStation4 tomorrow. Existing Stan subscribers can log in to the app on PlayStation3 and PlayStation4 from Thursday October 8th with their existing username and password. Select outlets will also offer a three month subscription with eligible PlayStation products as a launch promotion. Michael Ephraim, Managing Director at Sony Computer Entertainment, said, “Partnering with Stan is one of the most exciting additions to our entertainment offering to date, and another step towards allowing us to bring a full suite of gaming and entertainment to the whole family – not just gamers. Stan also premieres Ash vs Evil Dead, by Sam Raimi, Bruce Campbell and Rob Tapert, on October 31. I think you’ll be waiting a while. I don’t think they have any intentions to yet. They don’t even have an Apple TV app. Awesome, i’ve been waiting months for this, now to see if it passes the wife test. Perfect. I’ve been a netflix subscriber for a while now but would be happy to trial Stan now I can watch it via my PS. Everytime I read about stan I just think of how awful channels 9 catch up site jump in is and because of that I won’t even consider it. Stan is a very good SVOD service. Recent Audience Inventory results suggested it was second in preference behind Netflix. I personally can’t stand channel 9 and refuse to watch it, but Stan is a whole other ball game. It works without a hitch and has a pretty decent content library. It’s just a shame it hasnt got any smart TV apps for leading TV brands like Netflix, Quickflix, and most of the network catch up services do. Stan and Jump In couldn’t be more different. Stan offers HD content and has an excellent range of movies and shows, I have it and Netflix and I find myself watching Stan far more these days since it became available on the apple tv. I think once they become available on more devices, this new availability on playstation will certainly help, the popularity will only grow as more people will see how good the content on it is.